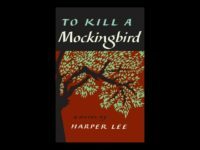 A school district in Duluth, Minnesota, has announced that they will ban To Kill a Mockingbird and Huckleberry Finn from classroom curricula. 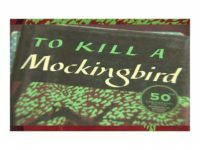 A Mississippi school district removed Harper Lee’s Pulitzer Prize-winning novel To Kill a Mockingbird from its curriculum because people felt uncomfortable with the book’s language. 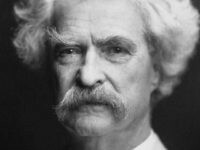 In a move to protect students from “racial slurs,” a Virginia school district has banned the reading of two classics of American literature: The Adventures of Huckleberry Finn and To Kill a Mockingbird. 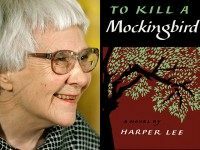 Harper Lee, the elusive novelist whose child’s-eye view of racial injustice in a small Southern town, “To Kill a Mockingbird,” became standard reading for millions of young people and an Oscar-winning film, has died. She was 89. So it turns out a half century on that Atticus Finch — America’s fearless moral compass on matters of race, our Moses of The South — got old and turned into just another crotchety Archie Bunker, barking about blacks, white outsiders and the meddlesome federal courts. Readers will finally get to see the follow up to the book To Kill a Mockingbird this summer. 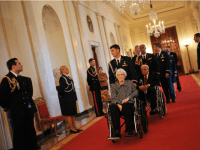 But the elderly author, Harper Lee, isn’t a descendant of Robert E. Lee. After 55 years, Harper Lee has done it. The author of the classic To Kill a Mockingbird bestseller is publishing a sequel, set to be released on July 14.